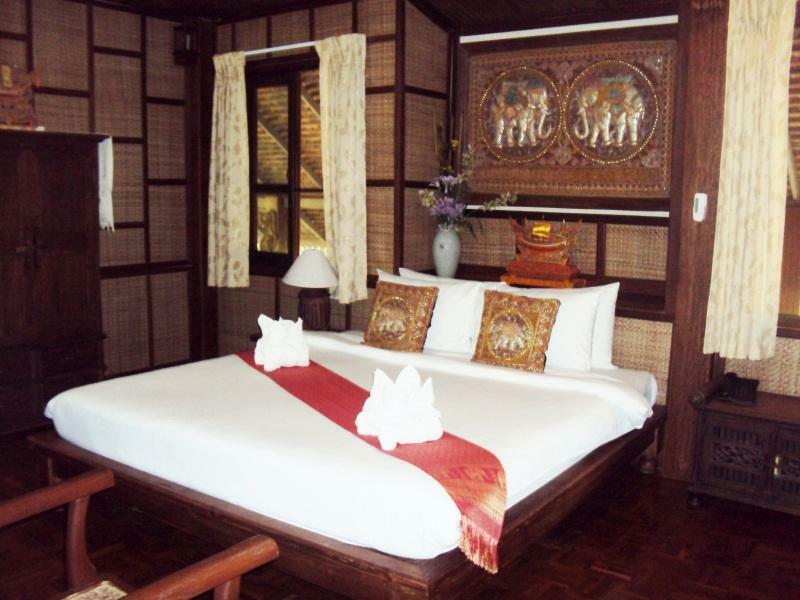 Есть вопрос для Marisa Resort & Spa Chiang Dao? Расположенный в Мыанг Нгай, Marisa Resort & Spa Chiang Dao это идеальное место для начала знакомства с Чианг Дао и его окрестностями. Все самые интересные места, расположенные в центре города, находятся всего в 76.0 Km. Одним из главных достоинств этого отеля является то, что он расположен в непосредственной близости от множества достопримечательностей и памятников, таких как Wat Tham Pha Plong, Wat Tham Chiang Dao Temple, Chiang Dao Cave. Предлагая гостям превосходный сервис и широкий спектр услуг, Marisa Resort & Spa Chiang Dao стремится к тому, чтобы сделать ваше пребывание в отеле максимально комфортным. Среди множества услуг доступных в отеле, есть бесплатный Wi-Fi в номерах, охрана 24/7, ежедневная уборка, услуги такси, удобства для гостей с ограниченными возможностями. Насладитесь высоким качеством услуг, доступных в номере, в том числе Wi-Fi (бесплатный), номера для некурящих, кондиционер, письменный стол, мини-бар, благодаря которым, вы сможете полностью расслабиться и зарядиться энергией после долгого дня. В отеле можно найти полный спектр услуг для отдыха и развлечений, в том числе внешний бассейн, спа, массаж, детский бассейн, сад. Если вы ищете комфортное и удобное место для проживания в Чианг Дао, выберите Marisa Resort & Spa Chiang Dao, который станет вашим вторым домом, на время вашего отпуска. My friend and I arrived to town on the last night bus and Anthony, the manager, personally came to pick us up. He was incredibly welcoming, informative, and had such a warm smile and made us feel at home. 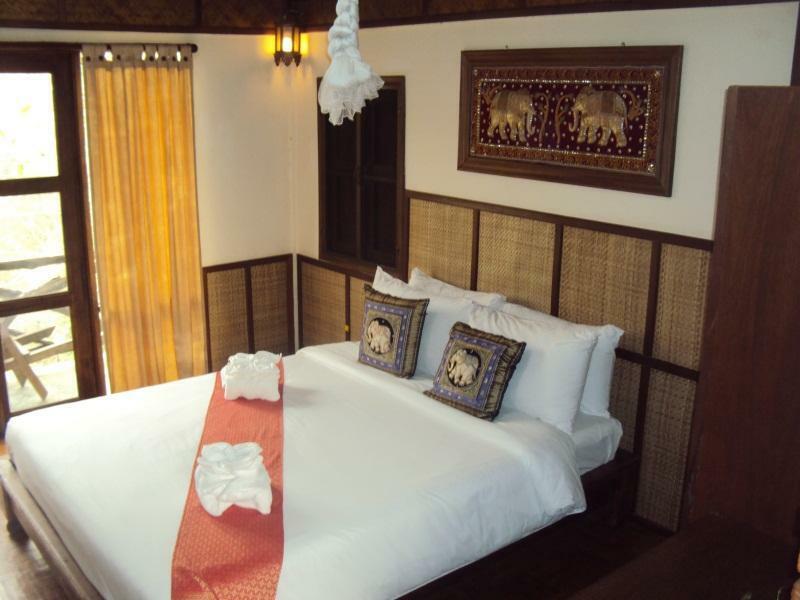 We had our pick of the room design (Thai or modern) since we were the only guests that night. The next morning, he drove us in to town so we could rent scooters and stayed with us to make sure everything went smoothly. He even checked on us as he passed by when he saw us stopped to make sure we were ok! On our last evening, we got massages at the resort spa, which was an incredible experience in itself from start to finish. Anthony even asked the restaurant to stay open for us past closing in case we wanted dinner after the massages - so considerate! The property grounds were magical to walk around and the room so comfortable with everything we needed. Great atmosphere, exceptional staff and scenery, and 5-star above and beyond service. I would definitely stay again and again! If you have a car, getting here is super easy, and it's close enough to Chiang Dao caves. the grounds are really nice, really forested and well taken care of, with a stream running through, and some ponds. Some of the staff speak decent English as well. We got a free upgrade to a room that overlooked a nice pond. The massage I got here was excellent. Well worth the money. I was thoroughly impressed. The food was mediocre so I'd advise eating meals elswhere. We had some friends visit our bathroom at night - a trail of large ants and a lizzard. I didn't mind this - after all, we are in the middle of nature, and it's happened to me before at another hotel in Thailand, but some people might have minded. 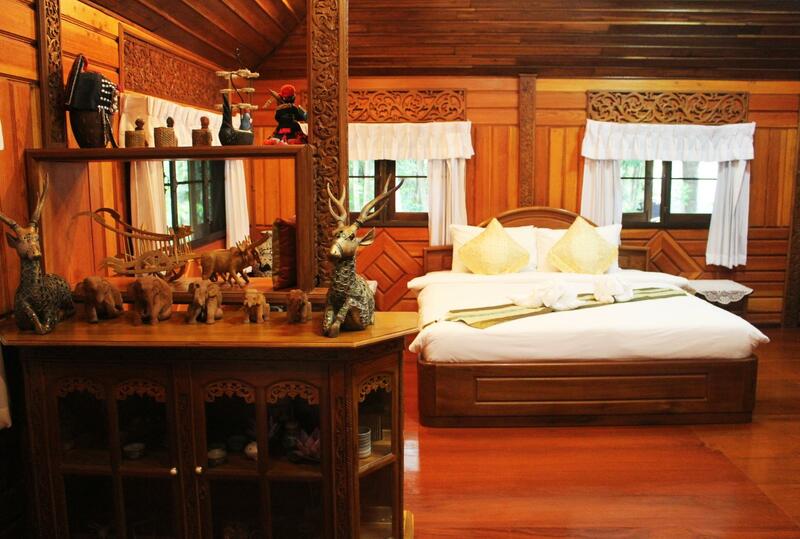 Overall I'd stay here again if I find myself in Chiang Dao. 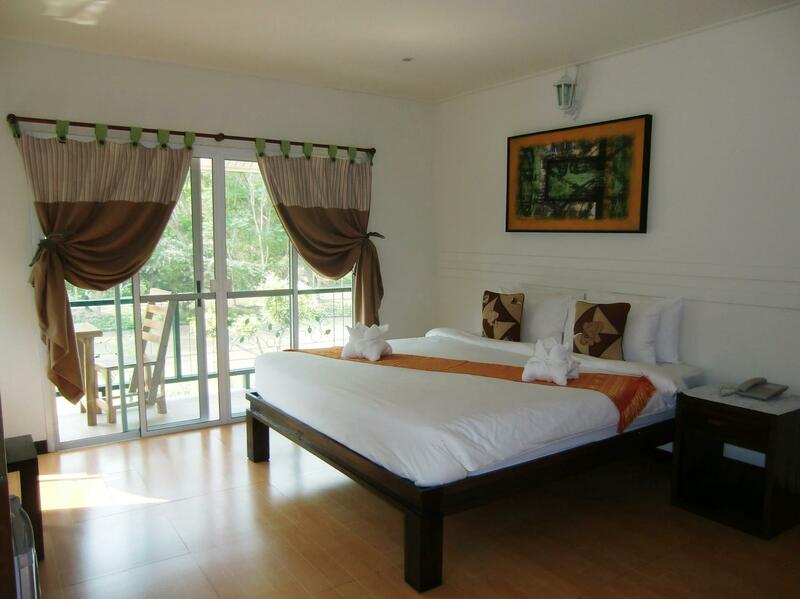 the Resort is very clean, the rooms huge and european standard. only a little bit less plugs...the hotel has a beautiful garden, fish ponds and a nice swimmingpool. the massage what we had was professional and relaxed. the staff is very friendly and helpful. This amazing resort is hidden amongst beautiful trees and lakes. The grounds are immaculate, the pool area is lovely. Rooms are clean with great views of the nature. The only thing that needs improving is the quality of the food which is mediocre for a resort of this quality. This was a lovely place to visit. Had a relaxing massage, the food was delicious, cocktails well made, and the staff were on the ball.. A great location in a gorgeous setting and we will gladly part with our money to stay here again. The pool was closed for cleaning while we were there, but we went in the off season so that is understandable. Overall the staff was nice and the rooms were clean and comfortable. Our family will go back, this time when the pool is open. Quite place where a bit far from main road, breakfast was very good, staffs and owner are very friendly. Given a room upgrade to nice room overlooking a pond. Nice setup in a jungle atmosphere that made the place cooler than the surrounding temperature. Great pool. The staff was so friendly, approachable, informative and helpful. 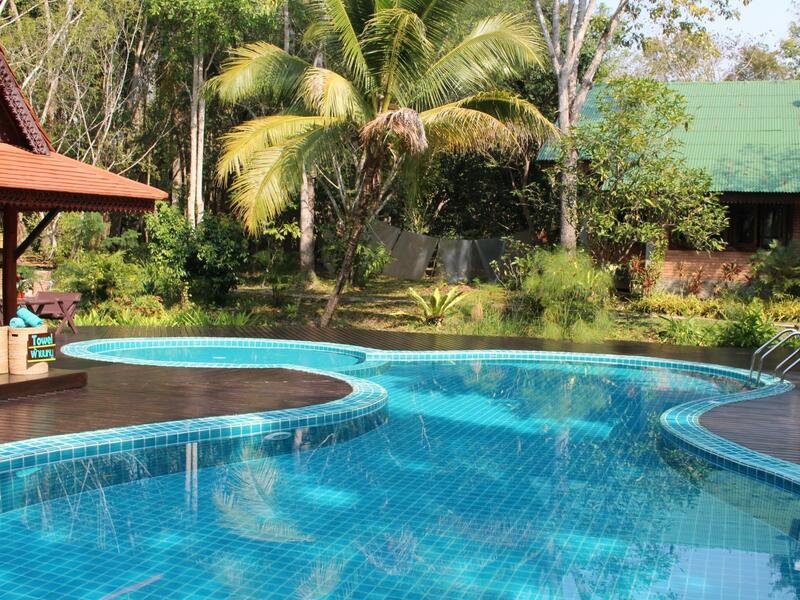 The resort itself has a wide range of activities and facilities provided. If i ever go back to Chiengdao, Marisa resort will definitely be the top choice in mind. The resort is a 10-min drive from the town. The staff member who checked us in was excellent - both efficient and friendly. The room was small but neat and the facilities were limited but the leafy setting made up for this. A friend was here doing research on finding charities to support, we overnighted in Chiang Dao to avoid having to drive out from Chiang Mai two days in a row. It was by chance we found Marisa Resorts as it was the only place in the area listed as pet friendly. Our room was spotless, the staff wonderful and friendly, even their own dogs were welcoming and lovely. Due to the rainy cold weather we couldn't enjoy the pool or really relax outside but that was not their fault! Our only regret was that we weren't able to stay longer.. The room was very clean and the grounds are beautiful. Everywhere you walk is like walking through a garden. The restaurant is good, but you can find better in the area. Breakfast got a bit monotonous. Make sure to bring mosquito repellant, as there are many ponds around the resort, and you're likely to have a room situated over one. It's a bit far from everything else (at least a 20-min drive), but it's centrally located to the caves and Pha Dang National Park, so if you're looking to see both it's a good location. The one downside was that we went during low season, and so we were the only ones there, which sounds nice, but is actually quite eerie. But that's not really their fault. The room was very clean and beautifully decorated. The resort manager Anthony was very friendly and helpful. We had a sumptuous dinner and breakfast. Unfortunately, we had to check out the next day. My husband and I were on a four day bike trip and stayed at Marisa Resort on our last night. It was a nice place to be able to shower and relax after 3 days of cycling. The room was basic but clean and comfortable. The staff was very helpful and let us use their scooter to go to 7/11 since the closest one was 2.5km away. Dinner was very good, a bit pricey for Thai standards but the quality was good. Breakfast was a choice of western or Thai and we chose western and got eggs, toast, bacon, sausage, fruit, yogurt, orange juice, and coffee. Overall it was a nice stay and we felt refreshed and ready to finish our trip. Apart from the spectacular grounds, there was a plethora of things you could do and the rooms had a beautiful outlook, and were very comfortable. The most comfortable place in my 3 weeks of staying in Thailand. Location was a little out of the way, but not a problem if you are driving. They even provided a breakfast the night before so I could leave early.